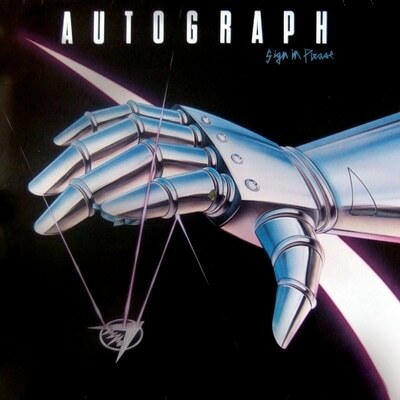 Rock Candy Records has recently reissued Autograph’s Sign In Please and Cobra’s First Strike. Both albums have been remastered from the original source tapes and the Autograph release contains a bonus track. These albums, and the rest of the Rock Candy catalogue, can be purchased at www.rockcandyrecords.co.uk/store. Emerging in the early eighties, unsigned at the time, Autograph were hand picked by Van Halen to open a mammoth North American concert trek – an accomplishment that quickly led to their inking with industry giant RCA Records and an ensuing hit single, the energetic and infectious, ‘Turn Up The Radio’ which made the US top 30 in the same year. Feted and championed by the hard rock cognoscenti (supporters included Motley Crue and Ozzy Osbourne) this Los Angeles based quintet made all the right noises by packing both melody and muscle into their music; highly valuable commodities that found Autograph reaching a level of success that would see them out perform most of the competition. ‘Sign In Please’ was, then, the bands highly praised debut album, unleashing a beast of significant fire power and songs that would stand not only the test of time but would also improve with age including the classic hit single ‘Turn Up The Radio’. Taped by renowned British producer Neil Kernon (Queensryche, Dokken etc) the album exudes Class-A hard rock all the way with big hooks and solid riffs. Definitely one of the greatest albums from the 1980’s LA scene. 24-bit remastering from original source tapes, 4,000 word story of the making of the album by Pail Suter and exclusive interview with Steve Plunkett, previously unpublished photos, one bonus track, all spread out over a super 12 page full colour booklet. The difference between achieving success and failing can be down to the most tenuous of reasons. 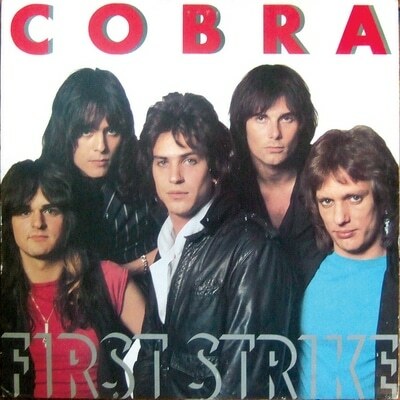 For Cobra the early signs were better than most. They wrote great songs, were fronted by a world class vocalist in Jimi Jamison (later to join Survivor), had first class management (Butch Stone) holding the business reigns and, best of all, the colossal firepower of Epic Records right behind them. Inexplicably, however, the record failed to connect, taking the wind out of their sails and forcing an early retreat into the file marked ‘strictly for connoisseurs’. Although based in Memphis (by way of Switzerland) the band was truly an international collaboration featuring three Americans and two Swiss renegades; Mandy Meyer (from Krokus) and Tommy Keiser (who would also go on to play with Krokus). The Memphis contingent also had some serious form; Jimi Jamison having fronted A&M signed blues rockers Target and guitarist/keyboard player Jack Holder, a Memphis legend having seen active duty as a member of Black Oak Arkansas amongst many other accomplishments. Together with super-fit drummer Jeff Klaven, the band constructed a stunning, but melodic, hard rock sound that has not dated one jot. 24-bit remastering from original source tapes, 4,000 word story of the making of the album by Dave Cockett and exclusive interview with Jimi Jamison, previously unpublished photos, all spread out over a super 12 page full colour booklet.